Oct 19 2015, “Canadian Values” victory-day: inclusion over exclusion! Samer Majzoub, Recipient of Queen Elizabeth II Diamond Jubilee Medal ; President of Human right’s advocacy group ; Recipient of many recognition awards. 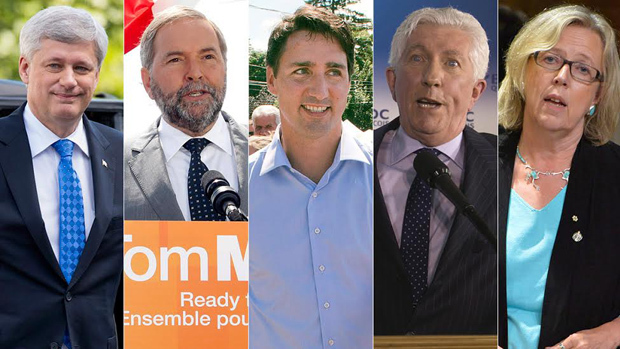 The call for the 42nd Federal Canadian election was issued by the Governor General David Johnston on August 4. The subsequent campaign spanned 78 days from the dissolution of Parliament to the election, one of the longest campaigns in Canadian history. This was also the first time since the 1930 election when a Canadian Prime Minister tried to win a 4th consecutive term in power. The main parties’ standings at dissolution of the 41st Parliament was 159 seats for the Conservatives, 95 for the NDP, 36 for the Liberals and 2 for the BQ. From the early stages of the election campaign, it was clear that it would be a hard-fought election due to what was considered a 3-way race between the three main federal parties, CPC, PLC and NDP. The NDP, being a front-runner, gave this particular election more enthusiasm as historically the Conservatives and Liberals have always ruled the country. As the elections campaign persisted, polls were clearly showing that Canadians wanted change after almost a decade of Conservatives rule. In spite of the conservatives’ extensive elections media campaign presenting Mr. Stephan Harper as the best leader for the country, by early September, surveys of Canadians had shown the contrary: they were looking for a new PM. All indications were obviously directing towards a new resident at 24 Sussex Drive in Ottawa, the nations’ capital, on Oct 19. The three main competing parties, CPC, PLC and the NDP put up strong media campaigns targeting voters with their political platforms. The parties’ leaders wasted no time to present their arguments and points of views over various subjects and topics. This continued until Sept 15 when a Federal Court of Appeal panel dismissed a government appeal over a ban on face coverings at citizenship ceremonies in what amounts to a major policy rebuke of the Harper government. At this point, the election campaign witnessed a sharp spin towards what has been considered by many as ugly and horrible conducts by the Conservatives adopting a very divisive approach and rhetoric in hopes of winning the election. The Conservative era in the last decade has been overshadowed by controversial policies in many aspects, but mainly by human rights violations under security excuses. The Conservative government ended its ruling period with the very contentious bill C51 and bill C24. Both bills have been considered “ as an attack on constitutional freedoms and an “extraordinary inversion” of the role of judges” and “a two-tiered system in which naturalized Canadians are treated as second-class” . The election rhetoric based on fear-mongering against women who wear the niqab took over air waves, campaigns, interviews and polls. The campaign turned women’s safety and rights into a political game that distracts from the realities and significant concerns of Canadians. Muslims and Arabs have been problematized as not only a security problem, but as a socio-cultural problem in Canada. The Conservatives thinking they will win more votes from the niqab controversy, sank deeper into their conflict-ridden political campaigns. What made such negative policy bitter is the fact it was run by the prime minister of the country whose main role is to unite Canadians and protect women’s rights. Muslim Canadians felt and without prior notice that they have been used as a political football for election purposes. The majority of Canadians started to believe that the Muslim community is being used to capitalize on misconceptions and to create fear in the hearts and minds of fellow citizens. As a result, in the midst of the elections movement the xenophobic and Islamophobic sentiments hit a peak and the expected constructive political debates during campaigns turned to be theaters where Islamophobia became a free-for-all scene. As the election campaign came to its last session, it became clear that the niqab debate that was initiated to the advantage of the Conservatives had back fired. Mr. Harper relied on polls he ordered himself and bet big time on the niqab debate and lost. Canada is a great country by all means. It can’t accept bigotry, hatred and discrimination. Canadians, on Oct 19 2015, made it clear and loud: yes to inclusion no to exclusion. The majority of Canadians chose the Federal political parties that have championed Canadian values of unity, harmony, equality and freedom of choice to represent them in the House of Commons. The election results will send a strong message to those politicians who have pursued campaigns of hate, prejudice, Islamophobia, fear and division amongst Canadians that they have harvested what they have planted, loss and defeat. 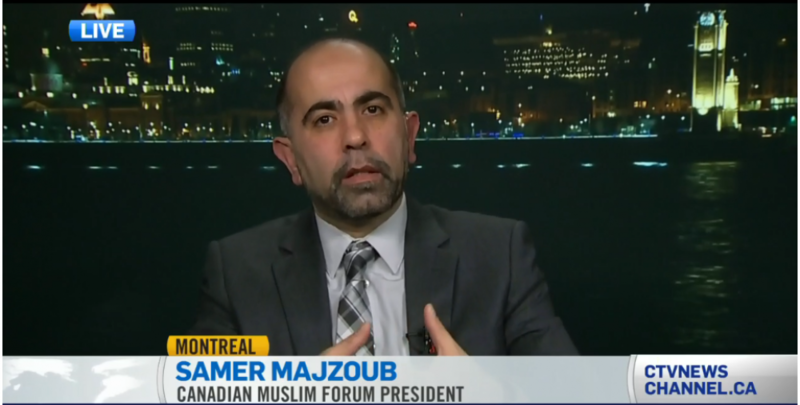 Samer Majzoub is president of the Canadian Muslim Forum (FMC-CMF). This entry was posted in article and tagged (FMC-CMF), Canada Muslims, Canadian Elections 2015, Canadian Muslim Forum, Federal Elections 2015, Forum Musulman Canadien, Islamphobia, Quebec Muslims, Samer Majzoub by samermajzoub. Bookmark the permalink.